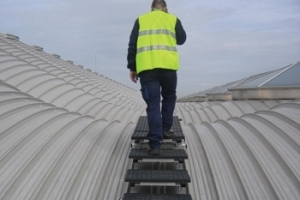 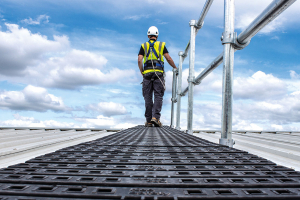 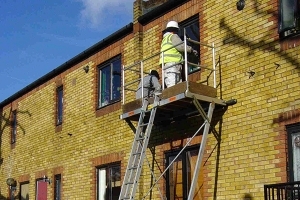 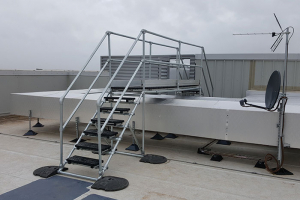 A roof top walkway with handrail - a safe access solution for working at height. 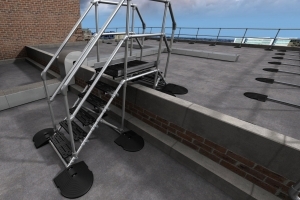 Designed for roofs up to a 35° pitch. 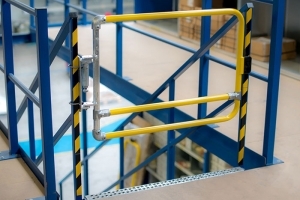 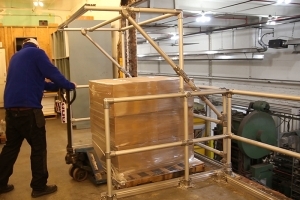 Off the shelf step-overs available as kits, providing a safe means of access where obstructions such as pipework exist. 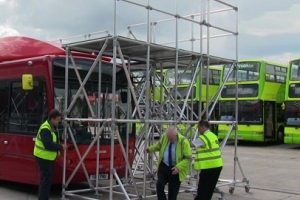 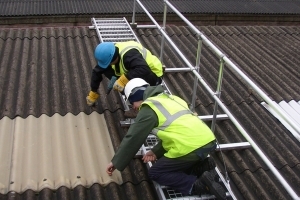 Mini step module kits providing safe and easy access around obstacles on roofs. 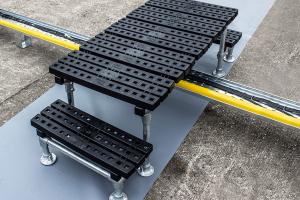 Available in various sizes and finishes.